An eco friendly, 100% biodegradable plant based oil that is ideally suited for all types of cycling. With a specially formulated viscosity for riding in dry weather, this chainlube will keep your drivetrain smooth and your gearshifts quiet. With a unique captive screw drip system you won’t be losing any more caps. Our Biodegradable Dry Chain Lube is a really durable, easy penetrating Chain Lubricant that has been especially formulated to endure and protect when other ordinary chain lubes have given up and gone home. Kingud Dry Lube is for use in normal weather conditions, it is an eco-friendly, organic based chain oil with exceptional penetrating properties to ensure the lube reaches all the essential parts – between the plates and inside the rollers. 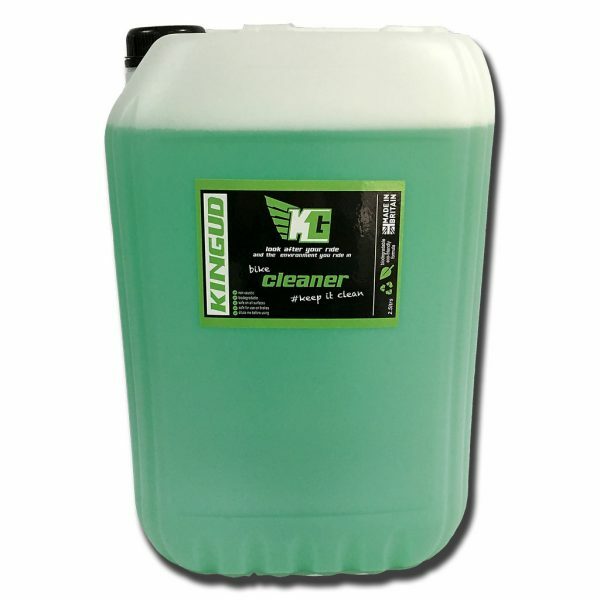 With Kingud biodegradable chainlube, true to our company slogan you can “look after your ride and the environment you ride in”.